Detail of Artemis from a painting of the Gigantomachia (War of the Giants). The goddess aims her bow at a giant. She is dressed in a knee-length skirt of a maiden and wears an animal skin cap. 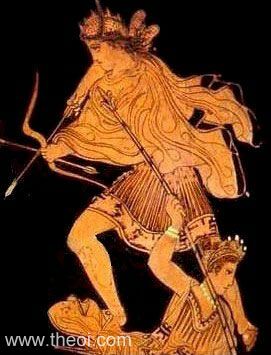 Below her stands Demeter wielding a spear.